One of the most evocative eras in the history of poetry must surely be that of the Romantic Movement. During the late eighteenth and early nineteenth centuries a group of poets created a new mood in literary objectives, casting off their predecessors’ styles in favour of a gripping and forceful artwhich endures with us to this day. Answer: FALSE The Romantic Movement lasted for more than a century. 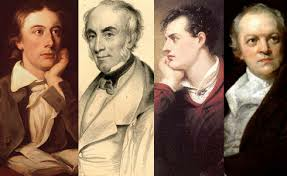 Answer: TRUE The Romantic poets adopted a style dissimilar to that of poets who had come before them. Answer: FALSE Unfortunately, the works of the Romantics had no lasting impression on art. Answer: NOT GIVEN The Romantics had no respect for any style of poetry apart from their own. Answer: TRUE The Romantics were gifted with a strong sense of imagination. Answer: TRUE Much of the Romantics’ poetry was inspired by the natural world.